The classic NES is back in a familiar-yet-new form as a mini replica of Nintendo's original home console. Plugging directly into a high-definition TV using the included HDMI cable, the console comes complete with 30 NES games built-in, including beloved classics like Super Mario Bros., The Legend of Zelda, Metroid, Donkey Kong, PAC-MAN and Kirby's Adventure. Each title is sure to bring back fond memories and produce plenty of new ones. Players can even enjoy playing many of these games together by attaching a second Nintendo Classic Mini: NES Controller, sold separately. A Classic Controller or Classic Controller Pro for the Wii console can also be used. The Nintendo Classic Mini: NES Controller can also be used to play Virtual Console NES games on a Wii U or Wii console. Simply connect it to a Wii Remote controller to make the experience that much more authentic. Players needn't worry about losing any hard-earned progress either as each game has multiple suspend points, allowing them to start where they left off at a later time, no passwords needed. 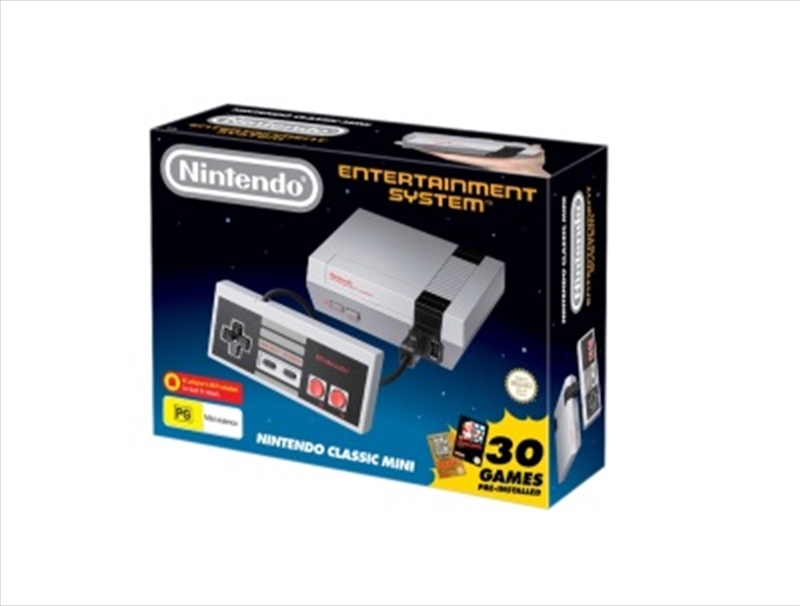 Bring back memories and make brand new ones with the Nintendo Classic Mini: Nintendo Entertainment System. Relive past glories, defeat the boss that you could never beat, or simply enjoy the classic titles of yesteryear anew. Note that an AC adapter for the USB cable is required to play the system but is not included in the packaging.